An intelligence unit in transition between war and peace. Ebook $10.00 Download Ebook instantly! A Tiger by the Tail is a snapshot in the long and distinguished history of the 6924th Security Squadron of the USAF Security Service. The photographer is Chief Master Sergeant T. Wayne Babb, USAF, Retired, who served in the unit as a Technical Sergeant. The 6924th was activated in 1965 at Da Nang Air Base, Viet Nam. Its mission was providing air intelligence support to war fighters. They performed their mission well, but they were in harm's way. Rocket and mortar attacks were frequent and casualties resulted. The 24th didn't cut and run, but since it was possible to accomplish their mission from Thailand, they relocated to Ramasun Army Station in April, 1971. The 6924th resided there for only five years; Chief Babb served there during one tumultuous year. The war in Viet Nam was winding down, so the unit needed to transition to a peacetime footing. It experienced a great deal of difficulty doing so. Half way through Babb's tour, NSA made the decision to pull all Air Force intercept operators out of the unit. They were replaced by Army operators, and the result was not pretty. Babb also became seriously ill during his tour and was admitted to the hospital at Yokosuka Naval Station, Japan. Conforming to Navy regulations and traditions proved problematic. Official unit histories are boring, but this history of a unit is anything but. If you were ever a member of the 6924th Security Squadron, a member of another unit in Security Service, or any other Air Force Command, you need to read this book. 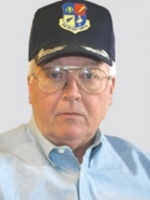 T. Wayne Babb spent 30 years as an Air Force intelligence analyst and trainer in Japan, Italy, Texas, Thailand, Greece, Alabama, and Korea. Babb spent 10 years with Defense Intelligence Agency, The U.S. and Saudi Arabian Air Forces, Central Intelligence Agency, and the National Reconnaissance Office. He's now retired.